A massive police search is underway after an eight year old boy fell into the River Wear in County Durham. 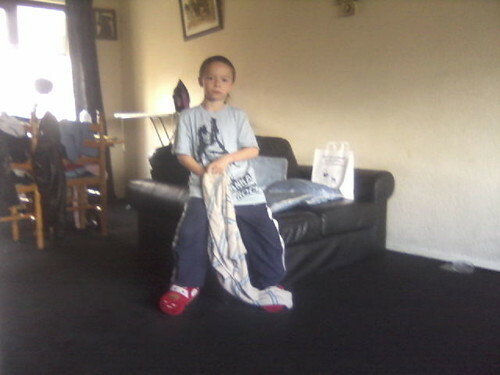 Police named the missing boy as Ian Thomas Bell, aged 8. He's believed to have fallen into the river Wear in Willington, County Durham, last night (Friday 27th April). Ian was playing with his friends in the area of the Brown Trout Pub which near to the river Wear where it is thought he has fallen into the water. Since then a major search for Ian has been on-going with assistance from the Fire and Rescue Service, Mountain Rescue, the Durham County Council Civil Contingency Unit and a Northumbria police marine unit, specialising in underwater search and rescue. The search for Ian went on until 1.30am Saturday and resumed at first light this morning (Saturday 28th April). Police are continuing to work closely with the local community and would like to thank them for their continual support. Police are also keeping in regular contact with Ian's family and updating them as the search continues. The search continues into this evening.